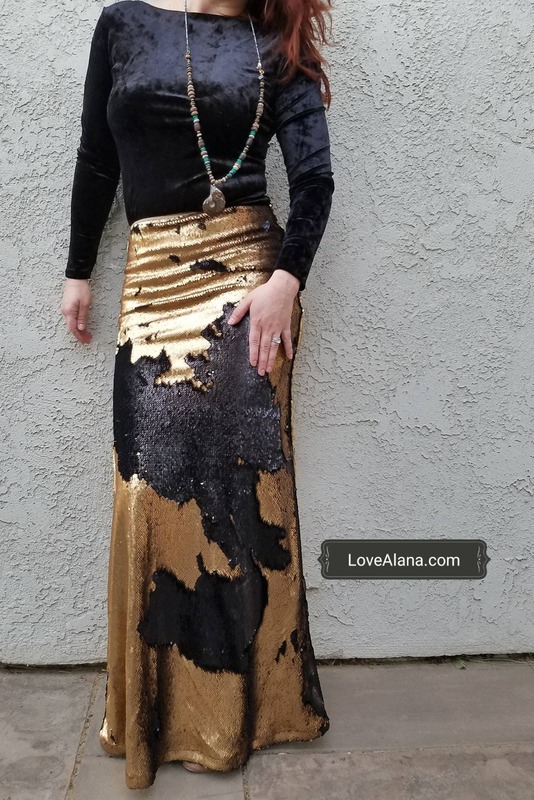 Small Matte Black/Dark Gold Flip Sequin Maxi - Gorgeous high quality sequins- Long sequined skirt. runs bigger. Only a few left! 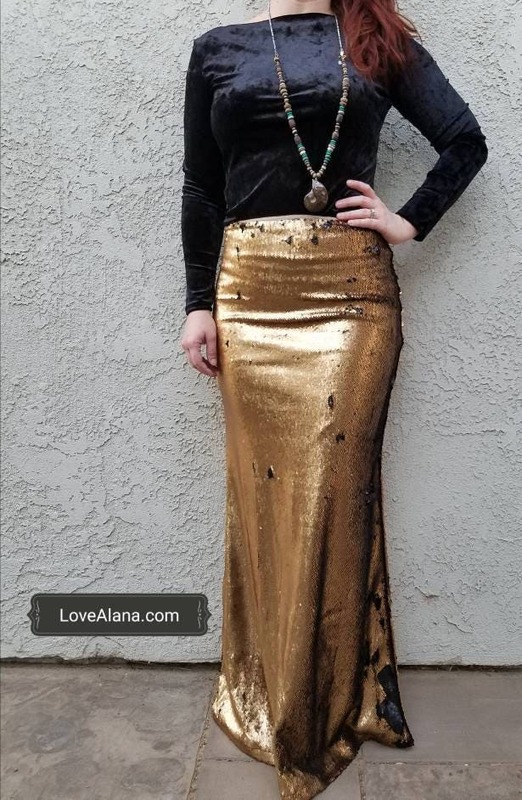 This is a "LOVE,ALANA" original!! It has a matte finish and looks UUUBERRR expensive in person. Definitely a showstopper. I love it sooooo much. 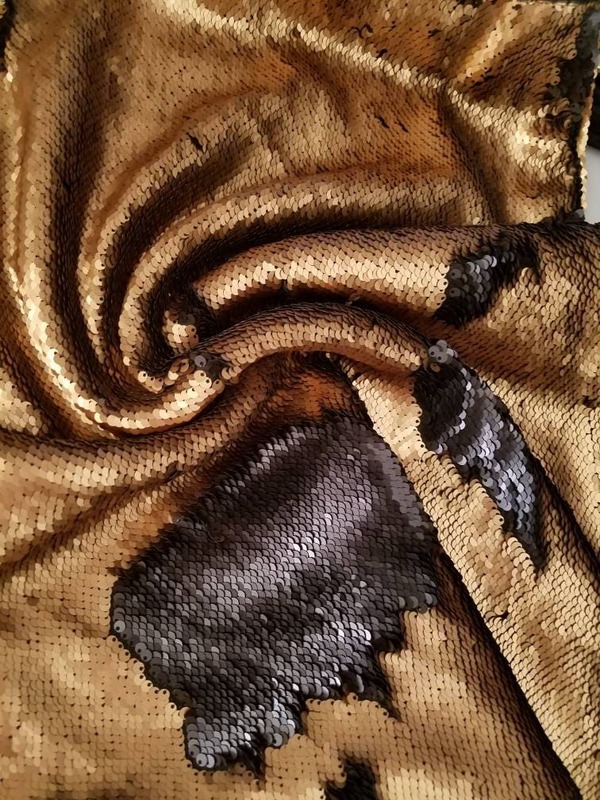 The sequins flip from matte black to matte gold. - Choose height at checkout. SIZES: Runs big. Stretchy, if in between, go down a size. The heights factor in a medium heel. If you are wearing flats or super high heels let me know in the note section at checkout so I can make the length perfect for you. Shown above is: a Medium with the longest length. I ship within 24-48 hours and use First Class mail (about 3-5 days for US addresses). If you upgrade and pick USPS Priority Mail it will get to you in 2-3 days. Express Mail is 1-2 days. Returns or exchanges are easy! As long as the item is unworn, unused and I am contacted within 7 days, we can arrange a return or exchange. Exchanges won't cost you anything, and I ususally ship very quickly. Once I recieve your return, I'll refund you the cost of the item. Maxis include shortening or slits. Just include notes at checkout at no charge. Heights shown accomodate a medium heel. If wearing flats go down, super tall heels go up. (Over 5'9" and wearing high heels may need to be longer than usual, so go for a custom option.) I do offer plus sizes, just look for the custom listing in my shop. Any size welcome. I ship within 1 day in most cases (sometimes within a few minutes!) US Mail takes 3-5 days, Priority Mail is 2-3 days. Express is 1-2. (Not including Sundays). You can upgrade shipping at checkout. International shipping is approximately 10-14 days. I take ALL returns, as long as the item has not been worn. 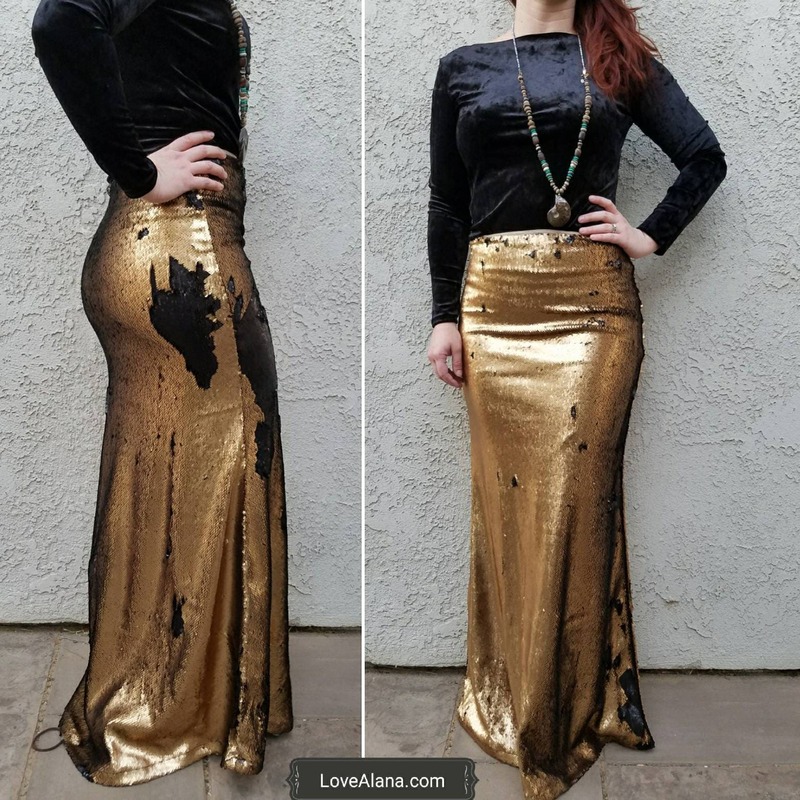 I rarely get returns so I'm sure you will feel like a million bucks and LOVE your purchase! Exchanges are easy, just let me know you need a different size and I'll send it within 24 hrs. Most items run true to size. Sizing is listed under the drop down: ITEM DETAILS. Try to go with your normal size, but if you have questions, feel free to ask me. They are stretchy, no zipper. CLEARANCE Peach Ovals - Pencil Sequin Skirt - Stretchy, beautiful knee length skirt. Made in LA, ships asap!